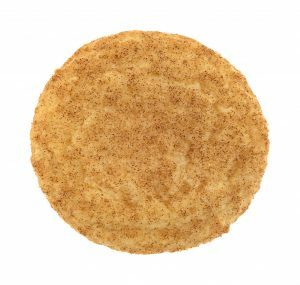 The traditional soft sugar cookie sprinkled with cinnamon sugar. They smell like heaven!! Includes one half dozen (6) Snickerdoodle Cookies. brown rice flour, white rice flour, potato flour, potato starch, xanthan gum, pectin, sugar, vegetable shortening, butter, eggs, baking soda, cinnamon. 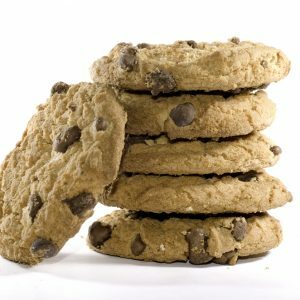 Serving size: 1 cookie. Calories: 123. Fat Cals: 40. Total Fat: 8g. Sat Fat: 2g. Trans Fat: 0g. Cholesterol: 37mg. Sodium: 37mg. Total carb: 16g. Sugars: 9g. Protein: 1g.